Here I am in outback Australia. This is beyond the black stump, the middle of nowhere, out back of Bourke, woop-woop, or any other nickname you can think of for a remote area. I’m actually in the Uluru-Kata Tjuta National Park in the southern part of the Northern Territory. If you don’t know where that is, find a map of Australia and stick a pin right in the middle. You’ll find me there, along with a few very big, and very important rocks. In the eyes of visitors, this is a place that time forgot. 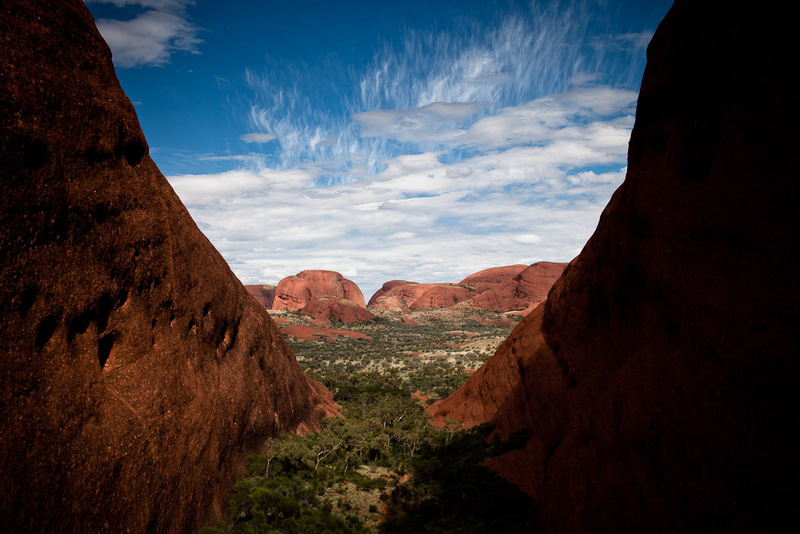 In the eyes of the Anangu aboriginies, it’s a place where time began. However you look at it, it’s a place like no other. 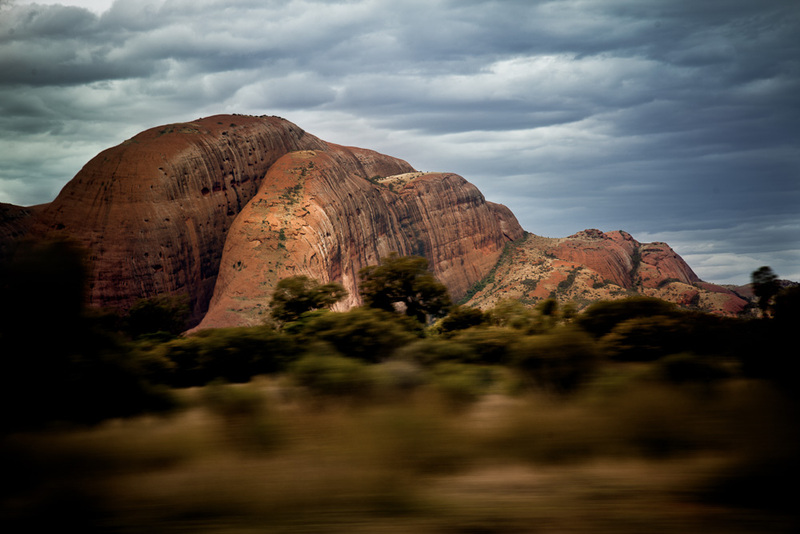 The Uluru-Kata Tjuta National Park is best known as being home to one of Australia’s greatest icons; Uluru (Ayers Rock). The massive rock (350m high and 9.5km in circumference) poking up out of the otherwise featureless landscape. But this blog entry isn’t about that. As incredible as Uluru is, it’s not the only thing out here. About 25km away is another incredible rock formation that may be lesser-known than Ayers Rock but is equally impressive and significant. 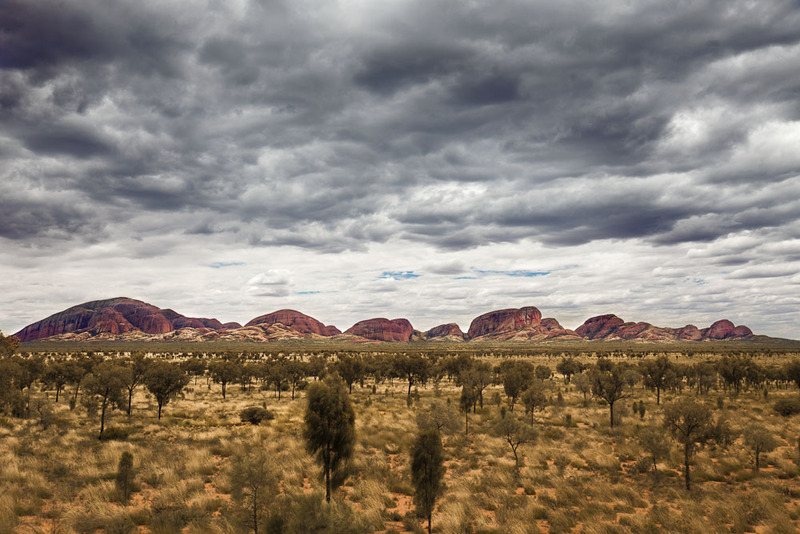 This is Kata Tjuta or The Olgas. 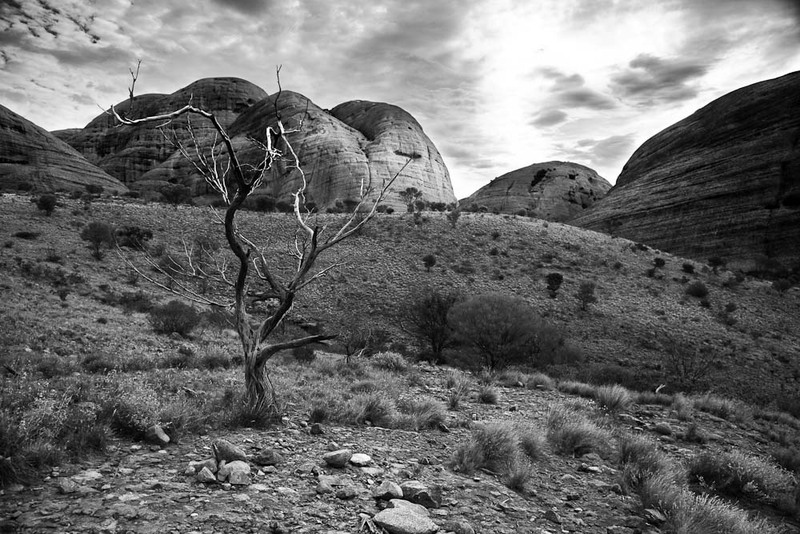 Walking through the Valley of the Winds, just a small part of Kata Tjuta (the circumference of the whole area is 35km), felt like stepping back in time millions of years. It was unforgettable. Words and images can’t do justice to this place; you need to be here for the experience. And if you get a chance to come this way, it really is worth it. I wish I could stay here much longer. I barely scratched the surface. This is a very quiet, still, contemplative place, but also jaw-droppingly impressive. It has many layers of meaning, stories going back a thousand generations, hidden treasures known only to locals. But it doesn’t advertise itself, cry out for attention, or give up it’s secrets easily. It just sits there patiently, inviting you to come in and make your own discoveries.